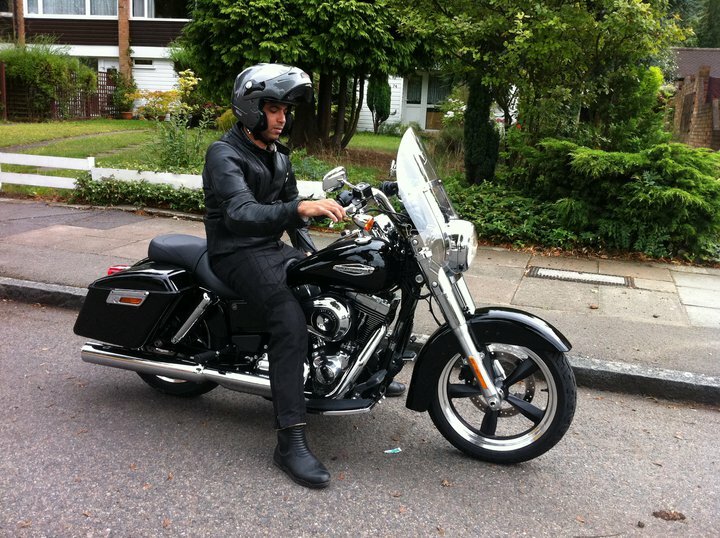 I recently test rode the n ew Harley Davidson model for 2012 – the FLD Switchback. It’s a Dyna based bike which wants to be a Road King. And it works! I think the Switchback will prove very successful with shorter guys or women who are looking for a touring bike that’s lighter than the Road King or the Electra Glide. It definitely fills a gap in HD’s range. It comes with detachable hard bags, windshield and the 103ci engine. At £13k on the road it’s a lot of Harley for your buck!